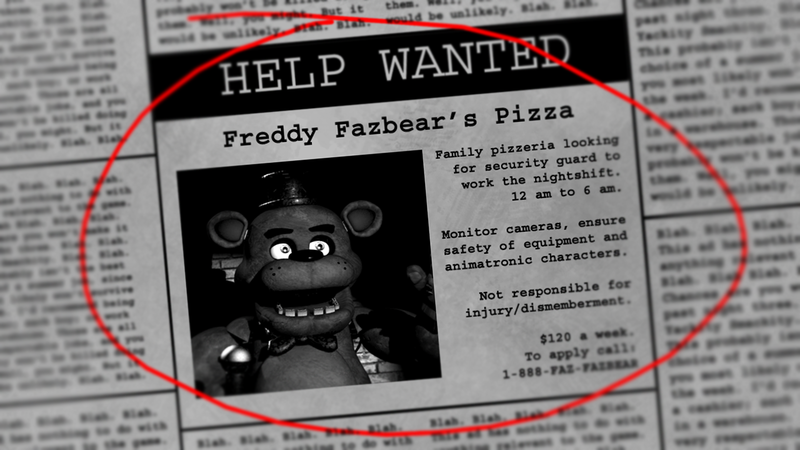 Family pizzeria looking for security guard to work the nightshift. 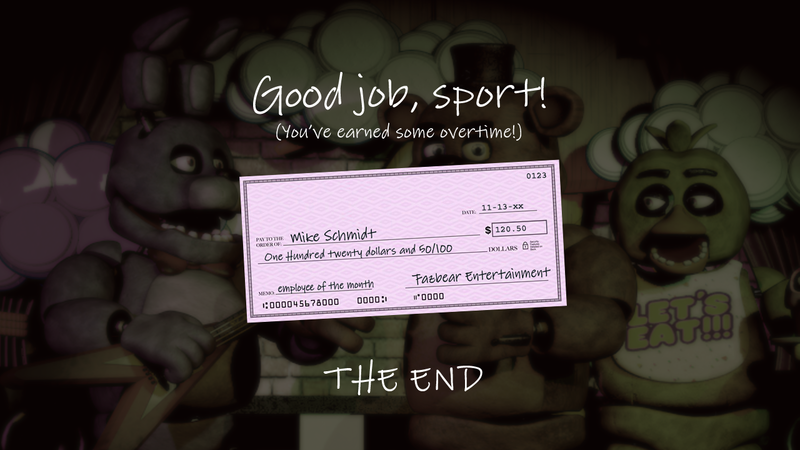 Monitor cameras, ensure safety of equipment and animatronic characters. 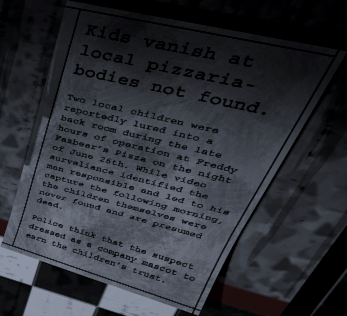 Kids vanish at local pizzaria – bodies not found. Two local children were reportedly lured into a back room during the late hours of operation at Freddy Fazbear’s Pizza on the night of June 26th. While video surveliance identified the man responsible and led to his capture the following morning, the children themselves were never found and are presumed dead. Police think that the suspect dressed as a company mascot to earn the children’s trust. Five children now reported missing. Suspect convicted. Five children are now linked to the incident at Freddy Fazbear’s Pizza, where a man dressed as a cartoon mascot lured then into a back room. While the suspect has been charged, the bodies themselves were never found. 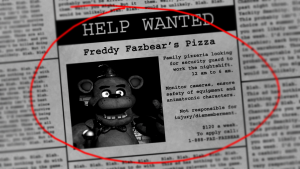 Freddy Fazbear’s Pizza has been fighting an uphill battle ever since to convince families to return to the pizzaria. Local pizzaria threatened with shutdown over sanitation. 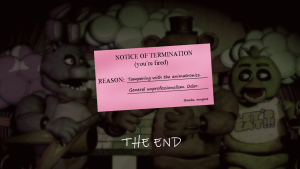 Local pizzaria, Freddy-Fazbear’s Pizza has been threatened again with shutdown by the health department over reports of foul odor coming from the much-loved animal mascots. Police were contacted when parents reportedly noticed what appeared to be blood and mucus around the eyes and mouths of the mascots. One parent alikened them to “reanimated carcasses”. 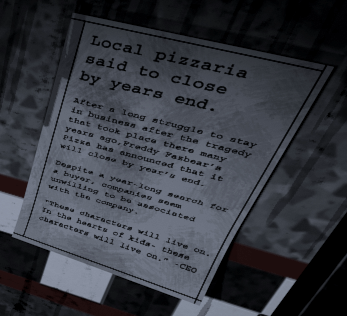 Local pizzaria said to close by years end. After a long struggle to stay in business after the tragedy that took place there many years ago, Freddy Fazbear’s Pizza has announced that it will close by year’s end. Despite a year-long search for a buyer, companies seem unwilling to be associated with the company.